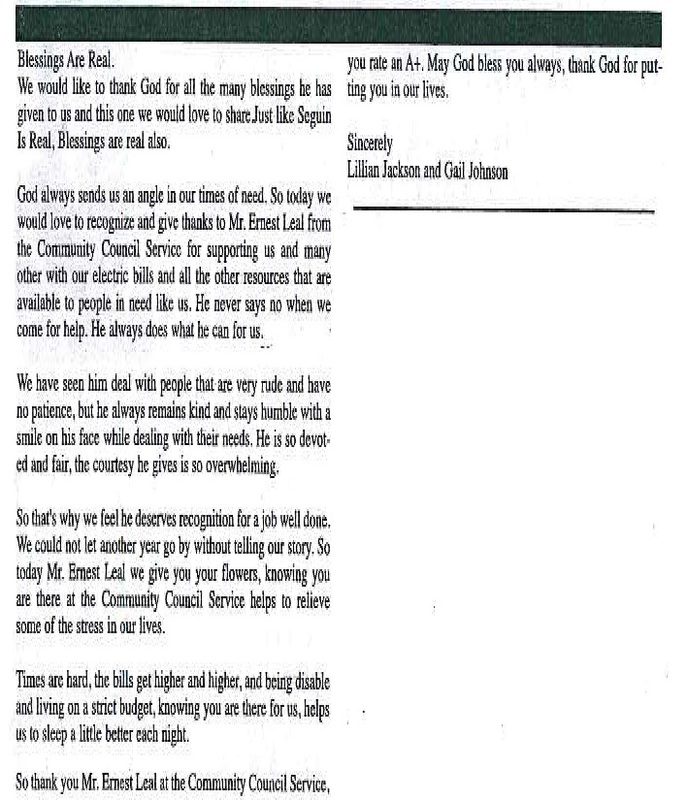 Below are stories from CCSCT clients regarding their experience in receiving services. If you would like to submit your story you may submit your story via email or regular mail. “When CCSCT came into this county, it was a God send. The blessings I have received have been many. Not only did I get help with my electric bill which allowed me to buy food and medications. I also acted on the referral by my case worker Merlene Salmans to the USDA Rural Development Grant Program. I received a loan with a low interest rate to get my home fixed. 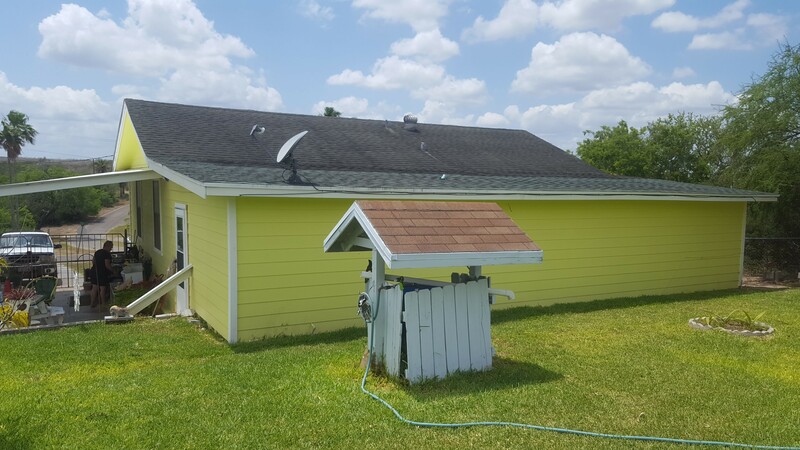 I had a new roof and siding put on and go the foundation fixed. 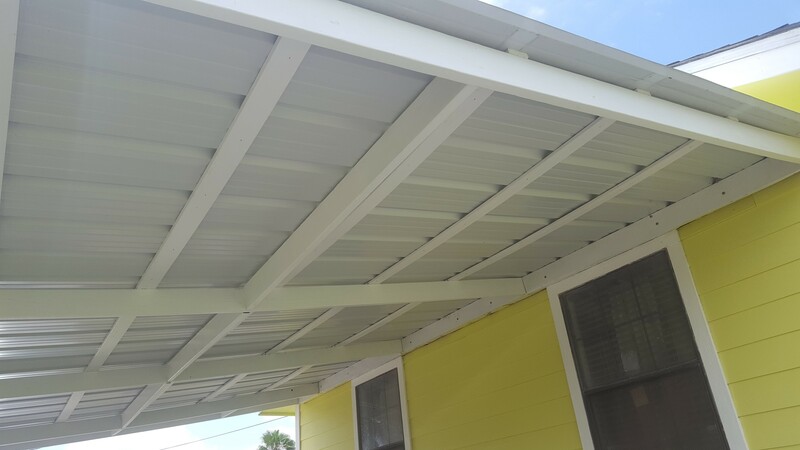 I could never have afforded to fix my home without that referral. I pay less than $35 a month for the loan. I am grateful to Merlene so much”. 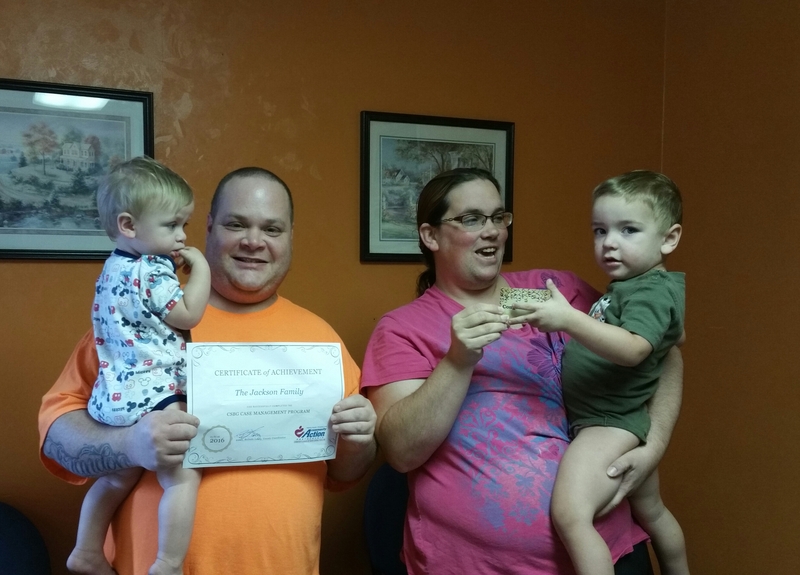 When the Jackson family (below) first applied for Utility Assistance in May 2016, they were struggling to survive on one income. Since being on case management, the family has obtained a second income and even though they faced a couple of health scares, alot car trouble and other obstacles, they have been successful in maintaining an income above the 125% poverty level for more than 90 days. The Jackson’s continue to demonstrate that they are dedicated to traveling on the path to long-term self-sufficiency. The family received a $100 Walmart gift care for successful completion of the case management program. Olga Magdla (below) is a single woman who was employed but not making enough money to afford a place of her own. Due to this, Olga was homeless and lived with others or stayed in her car when she did not have a place to stay for the night. The client applied for Tenant Based Rental Assistance and was accepted into the program. At the time, she was also placed in the TBRA self-sufficiency program. A few months after acceptance into the program, the client’s income fell below the 125% federal poverty level when she lost her job. At that time, she was placed on CSBG case management. She later found another job making more per hour than her previous job and her income rose above the 125% federal poverty level. 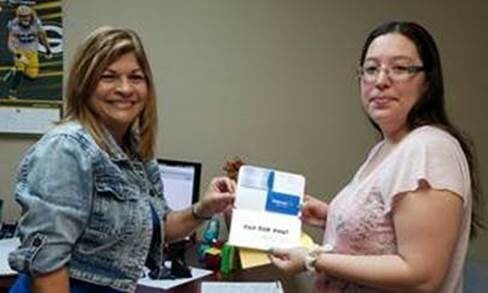 She maintained that income for over 90 days, enabling her to successfully complete the CSBG case management program. 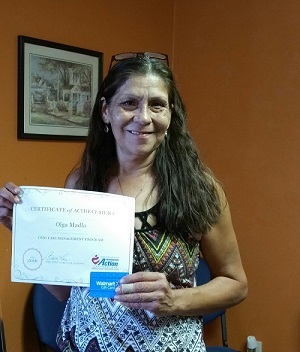 In addition, she was given a $100 Walmart gift certificate for completing the program. 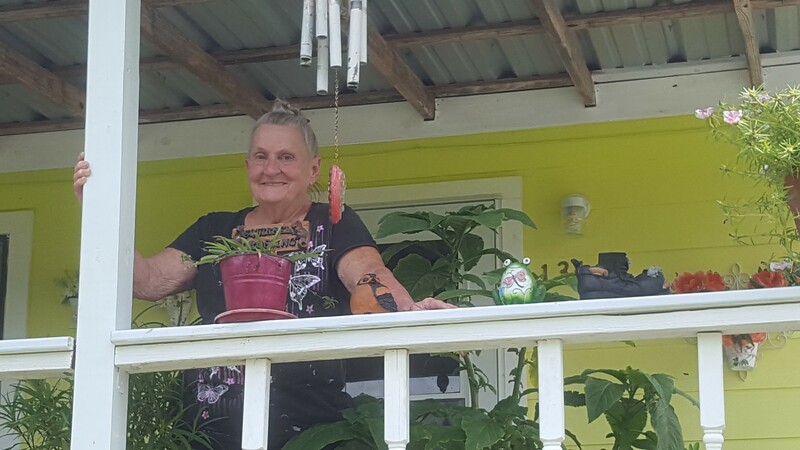 Today, the client remains employed and is still receiving Tenant-Based Rental Assistance and participating in the self-sufficiency program to resolve other issues that will, if completed, continue to solidify her transition to self-sufficiency. Brianna Herrera (below) first came to CCSCT in March of 2016 to seek assistance with her utilities. At the time, she was in the process of searching for a job and decided to enroll in case management so that she could become self-sufficient. A month later she became employed at Five Points part-time and we are now excited to say she is working full-time and also become Assistant Supervisor. As a result of maintaining employment for over 90 days and completing the case management program, Brianna was given a $100 Walmart gift certificate. This child came in for his 1 year certification. The WIC Program Director, Kathy Majefki did a routine ht, wt and hemocratic. When checking his hemocratic (iron level), she found him to be extremely anemic. She immediately got an OK from the grandmother and called Dr. Haasan, a pediatric doctor in Beeville and they took him in immediately. As it turned out, this child had leukemia. He was transferred to Driscoll hospital in Corpus Christi and underwent many rounds of chemotherapy for the next year. I am happy to say that today, this child is in remission and doing well.